Quiet music echoes in the alleys, strings of lights sparkle as brightly as the snow, the scent of mulled wine is in the air and flickering lanterns bathe Salzburg in a nostalgic light. To put it simply: Christmas is just around the corner! Feel the magic of this time while browsing the beautifully decorated Christmas markets in Salzburg and the Salzkammergut. Sweet punch, steaming hot mulled wine, salty jacket potatoes, candied apples and handmade crafts: there is so much to discover at Salzburg's Christmas markets. 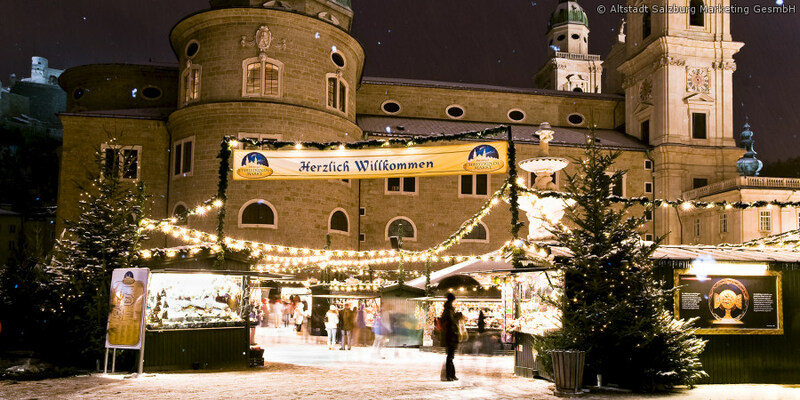 Enjoy traditional treats and holiday music and look forward to seeing children's faces light up at the Christmas markets in Salzburg. You'll also feel the holiday spirit at the Gersberg Alm. Our fireplace exudes soothing warmth in the hotel, beautiful decorations announce that it will soon be Christmas, and it even smells like the holidays in our restaurant. Make the Gersberg Alm your holiday accommodation this Advent. We look forward to your visit! 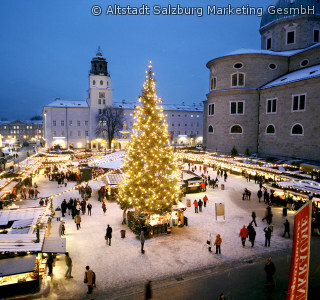 Welcome to the Salzburg Christmas Market!